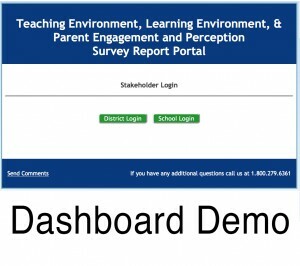 The Pride Learning Environment Survey is highly-recommended as a student evaluation tool for grades 6-12 because of its powerful reporting system and examination of current issues in education, as well as its inclusion of National Outcomes Measurement System items required as benchmarks for many grant awards. This comprehensive school climate survey measures many facets of the learning environment. With this tool, students, teachers and administrators, can work as a team to address the school’s weaknesses while building upon its strengths. In conjunction with the Pride Teaching Environment Survey, our Learning Environment Survey was developed under the guidance of a team of 13 top educators, psychologists and survey researchers during a three-year process. 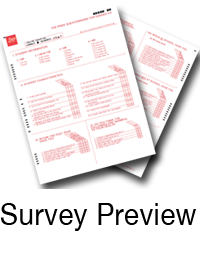 Tested by 30,000 teachers and 270,000 students, these surveys produce reliable and proven results that strongly correlate with academic success. In fact our learning environment questionnaire has been included in the School Climate Survey Compendium of the National Center on Safe Supportive Learning Environments as a valid instrument to assist educators in identifying and assess their conditions for learning conditions. To learn more about our school climate questionnaire, contact our team at (800) 279-6361, or check out survey testimonials from educational professionals like you. Plus, we provide an intuitive electronic dashboard that takes the guesswork out of interpreting survey findings. 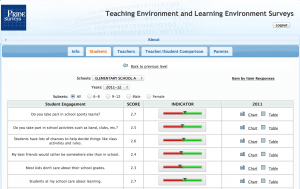 Your school climate survey results will be graphically displayed in easy-to-interpret categories and reliable scales that quickly provide a bird’s-eye-view of your findings. Our e-dashboard is an exclusive perk of working with Pride Surveys – try out a free demo today! For more information about the Learning Environment Survey or our other survey products, please call us at (800) 279-6361. You can also order online now!